We build too many walls and not enough bridges : Isaac Newton Through out the history of human civilization, a conflict has been observed which is very common, irrespective of caste, Creed and religion. This conflict is due to human mentality of throwing stones into the calm water of the pond of thought process, thereby resulting into ripples of uneasiness and disharmony. We always try to break the universal law of harmony by building too many walls of rigidity and do not make sufficient attempt to scale them by building bridges of understanding and kindness. Everything is energy including our thoughts. As we are in an interactive world, there is always an interference of multiple energy patterns whose frequency when in harmony with the Cosmic energy will create a situation of universal blessings, otherwise a chaotic energy pattern will break the universal law of harmony and create fear, phobia and jealousy. Since time immemorial, Human beings have been divided into two categories : The rulers and the followers. Rulers have always disturbed the universal law of harmony in the name of caste, Creed, community, religion etc and created fear, phobia and jealously and forced us to cling on to a thought process of disharmony. Once the ripples of disharmony starts it's journey in the mental pond of thought process generation, it is not confined to smaller wave length of ripples of disharmony. It is only a matter of time when these ripples convert to sea waves of bigger wave lengths and ultimately psunamies which destroys the peace of the entire interactive world. This leads to chaos in our life. Relationships break, we become alone. In spite of earning millions out of the scenario of confusion created by disharmony, we become highly frustrated. Therefore, it is very much essential for us to build bridges of understanding, kindness and helping attitude and provide additional layers of cementing by always appreciating the positive efforts of each and everyone in our life. Let us raise our mental vibrations to align ourselves with the Cosmic vibrations. Let's follow universal law of harmony. Let's create a thought process where all the interactive energies around us has only one identity : a fellow Cosmic Consciousness without any other tag provided by the historical path of chaos and conflict. Importance of Metals in Astropsychology : Human association with metals goes a long way back in history. The ancient people viewed metals as mysterious materials found deep inside the earth and believed them to be full of spiritual powers and potential for creation as well as destruction. Several ancient civilizations practiced the sciences of Alchemy and Astrology and related the different planets to specific planets. While Alchemy tries to understand the meaning of the metals and elements , Astrology is concerned with interpretation of zodiac with the planets. The two were always considered to be related and an understanding of one was thought to be helpful in understanding the other. As such , metallurgy and spiritual alchemy went hand in hand . The metals were believed to have a spiritual connection and every metal carried a special significance. The alchemists believed that each element had a physical representation and also a psychological meaning. There are seven metals in the ancient Alchemical system of healing , which have resurfaced from time to time in medical thought. The seven metals are - gold, silver , mercury , copper , iron , tin , lead . They correspond respectively to the planets Sun, Moon, Mercury, Venus , Mars, Jupiter and Saturn. These in turn correspond with certain key qualities or personalities described in detail in Astrology and Hermetic science. Mars represents brevity, is masculine and active ;Venus is feminine , artistic and passive ; Jupiter the theorizer ; Saturn the lord of Justice ; Mercury the communicator ; Sun the day king; and Moon the night goddess. They are also deemed to correspond to the parts of the body as follows - 1) Sun - gold - heart and spine 2) Moon - silver - brain and fluids 3) Mercury - nervous system - lungs 4) Venus - copper - kidneys - nutrition 5) Mars - Iron - blood , muscles and circulation 6) Jupiter - tin - liver and gall bladder 7) Saturn - lead - skeletal and skin , hair , nails Guide to the seven metals - A person who has excess iron is hard , strong, active and assertive - as Iron Man. It is the masculine metal that will fight or argue if pushed , or even without pushing. They make decisions quickly, they speak abruptly and forthrightly , they move quickly and are always busy , moving on to new things. They gravitate naturally to military , metal working , butchering , and police matters where they find others of their own kind . These are the jobs they enjoy. They are accused of being hard , selfish and aggressive . Some incline to violence or criminality. Iron is softened , domesticated and improved with silver, copper or gold. The iron type needs to be less assertive and more kind , needs to be mellowed and made more passive and receptive to others needs. People with an excess of Copper , the Venus type , are mild and artistic , goes with the flow , creates harmony , will never upset others needlessly. Like Silver people , with whom they match very well , they are inspired , poetic and romantic. Copper people love to socialise and mix with others. They have strong family and the presence and companionship of friends and family are very important for them. Their natural gravitation is towards job like designers , film makers, artists , actors , musicians . The copper type needs to develop more confidence , more structure, more strength , more grit . Copper can be strengthened either with iron or lead. Persons with an excess of Lead are dark and heavy , rather sombre and gloomy , depressed or may be a control freak, don't touch that , it is mine ! etc. They like dark cloths , night time and gloomy or highly structured music. They tend to be conservative and love structure and strict time guidelines . They can be intolerant especially of interference from others. They tend to be very serious , to think too much and to dwell in the past. Jobs like architects, bankers, accountants, solicitors will be their natural inclination. Lead can be mellowed and improved through gold, copper, tin or silver. People with excess of Tin are theorizers. Even when their is nothing to think about , they like to speculate. They like travels and long journeys abroad. They might be accused of having a suspicious mind and of seeing things that are not there. There love of theories comes from their ability to clearly see patterns in events and dates. These patterns are often not visible to others. From these patterns and trends they build up theories to explain the world around them. They are natural philosophers. Tin type need to develop more action and less thought, to live less in themselves and more in the outer world. It is the inquisitiveness , expansiveness and growth tendency of Jupiter that makes Tin people so obsessed with patterns and informations. Their natural gravitation is towards jobs like University and college lectures, philosophers , bishops, priest , clergy, councillor, motivator, coach, travel agents. Mercury people are chatter box , ceaselessly talking and gossiping , sometimes harmlessly , sometimes bitchily. Mercury makes a good messenger and diplomat . They can be two faced and can not keep a secret . They love books , letters, newspapers, magazines , journals, correspondence, reading, writing, telephones, crosswords, language and jobs like teachers, writers, librarian, correspondent, journalist, Doctors, Diplomats . Silver is the sensitive metal of the emotions and the more refined senses . May be they are clairvoyant or just oversensitive they like to be treated kindly and will not tolerate any roughness. They do not get on with iron type, who they find far too tough and insensitive. Like copper , they have a fine artistic sense and prefer family and friends most . The lunar silver type is the most caring and compassionate of all the metals , they like people and want to mother them and care for them. In this sense they are the archetypal feminine type. People with excess silver may find life rather painful and constantly on an emotional roller coaster , as they react to negative and positive things so intensely and with powerful emotion. They need to develop some lead or iron to harden and protect them from harsh realities of life , by reducing the intensity of their emotional responses . Mothers, Managing child care centers, Nannies, Nurses, Teachers are related to the Silver type persons. Gold is king, proud , refined and naturally superior. Vain , arrogant , and somewhat haughty , the Sun type is nevertheless very warm hearted and kind .Once you get past the vanity , you see that they are kind givers who love to throw parties and splash out on big shows. They are music lovers and especially like opera. They make loyal friends , and though intent on big schemes , will always help others in need. Gold people succeed very easily and are gifted as natural winners. They come top, come first, get the gold medals , strive to win, they can be proud, aloof , smiling , aim to succeed , become famous. Kings, Queens , Bosses , Directors, Music lovers are Gold type people. The outer world verses the inner world -A study in terms of Traditional Newtonian Physics and Quantum Physics : The scientific progress till date leading to various discoveries which has allowed us to give a closure of Moon and Mars and all the luxuries of life are based on Traditional Physics whose foundation is Newtonian Physics. It has helped us in understanding and enjoying the external world. However, problems have arised when we started understanding our inner world by the same concepts. Inner world is all together different . A person can not achieve success if the inner world is tried to be improved upon by the concepts made for the outer world. Our inner world consists of energy which is Quantum in nature. It is the same energy which exists in the universe. It is at atomic and subatomic level. We need to make two journeys simultaneously , one for success in external world by following Newtonian Physics and another for success in internal world by following laws of Quantum Physics. Two laws needs to be followed at any given moment of time for maintaining a balance between the outer and inner world. In the external world we need to follow the theory of relativity and in the internal world the theory of quantum entanglement . The external world shows the distance between two places in real terms , the internal world represent the energy of universal connectivity where thoughts move much faster than light and we are able to carry out amazing healings at far off places. Institute of Peace , Happiness and Mind Power Development , Jaipur has innovated various Training Programs about healing our inner world for success. In collaboration with Success Maximized , New Delhi , these programs are being taken to various parts of the country to produce a Quantum leap in the inner energy patterns so that we always become a winner , whatever the challenges of external world may be. Two of these amazing Trainings are being conducted in near future in Gurgaon and New Delhi. Rescripting Astro Psychology by Cosmic Brain Programming and Reiki Healing at Gurgaon from 5th to 9th July, 2017 and another Program on Quantum Remote Healing for Health, Wealth and Happiness at New Delhi from 15th to 16 th July , 2017. Enlightened souls who want to transform their inner energy patterns, and who wants to rise in life at faster pace by making a balance between the external and internal world should not miss this opportunity , as single day of lower energy can lead to wrong decisions which can push a person several years behind in the path of their growth. The team of Institute of Peace, Happiness and Mind Power Development , Jaipur and Success Maximized , New Delhi are ready to take you to the next level. Cosmic Radiation and Light changes DNA : DNA is essential to any scientific understanding of life. One strand of double helix holds the complete code that is needed to clone an entire organism. The process for DNA formation is now up for debate , as the fundamentals of Quantum Physics now aims to explain how DNA begins as wave form rather than molecule. According to this concept the universe is composed of invisible waveform complex that forms matter by the exertion of micro gravitational forces. On a molecular scale information in the form of waves pulls atoms and molecules in order to create more complex structures , such as DNA. As DNA is formed from waveform, it is likely that any change in the waveform can make transformation in DNA. The universal energy at any given moment represents the sum total of the waveform produced by the planetary energy and it controls the behavior aspect of the DNA. If we can produce suitable waveforms around us by such Techniques which have Cosmic influence than we can transform behavior pattern of our DNA. 10 percent of our DNA 's which form proteins were considered by Western Scientists as useful DNA and the rest 90 percent as Junk DNA. Russian Scientists have experimented that these 90 percent DNA play a role in formulating the behavior pattern of a person. These are influenced by the thought process waveform. If these can be influenced than behavior pattern can be transformed. Astrology is the science which identifies the waveform of the universe at the time of birth.Astrological charts are maps which reflects waveforms pertaining to the energy of various planets. These waveforms formulate the behavior pattern of a person in various spheres of life. In this interactive world success of a person depends on his/her actions and reactions which are controlled by his behavioural Genes : The waveforms produced by malefic planetary energy at birth time gives rise to imbalanced behavior about a particular aspect of life. It can be judged by Astrological chart Success becomes smooth when malefic energy is transformed to the resourceful energy. Rescripting Astro Psychology by Cosmic Brain Programming and Reiki Healing - An Innovative Technique of the Institute of Peace, Happiness and Mind Power Development, Jaipur is THE TECHNIQUE which transforms the inner energy of a person and success becomes a reality. This Training is a must for everyone in order to achieve success. Whenever, opportunity is available, be a participant and feel the transformation. After this Training a person would be able to obtain such waveforms which will totally transform the behavior pattern controlled by 90 percent DNA which are classified as junk DNA.The inner Cosmic light will synchronise with the universal light and infinite peace and happiness will be obtained. Role of self esteem in success in life : Most psychologist agree that self esteem is a critical determinent of a healthy personality.The best definition of self esteem is, " how much you like yourself ". When you like and respect yourself, you always perform and behave better . The more you like yourself, the more confident, efficient and effective you are in each area of your life. Self esteem is the key to personal performance. It is very much important for a person's emotional health. Almost everything a person does is aimed at either increasing the feelings of self esteem and personal value or protecting it from being diminished by other people or circumstances. However, there is a very thin line between self esteem and ego. Humbleness is the key to high self esteem. Presenting one's strong points with humbleness is a must if self esteem is to protected from converting to ego. Boosting one's strong points with arrogance is the indication of transgression of self esteem into ego. Research work in Harvard Business School has revealed that apart from self esteem, self compassion is essential for success. Self compassion is the willingness to look at our own mistakes with kindness and understanding and to accept the fact that to err is human. A person with high self esteem and self compassion is likely to be more successful as he or she is ready to learn from the mistakes and move ahead with fresh zeal and enthusiasm. Astrology is the science which can judge the factors of self esteem, self compassion and ego . Benific planetary energy in the first house of the Astrological chart will indicate high self esteem and vice versa malefic planetary energy will indicate low self esteem. Benificially energised 1st house with beneficially energised 3rd house indicates humble self esteem, however, beneficially energised 1st house combined with malefic 3rd house indicates transgression of self esteem into ego. Self compassion and love is indicated by benific planetary energy in the fourth house. Energy entrapped in the cells and DNA at the time of birth is responsible for the self esteem, ego and self compassion factors. In order to achieve success in life higher level of self esteem and compassion is required. A person lacking higher self esteem and compassion due to entrapped malefic planetary energy can learn to transform this energy to that of humble self esteem and compassion by attending Training Program in Rescripting Astro Psychology which will be held in Delhi from 28th September to 2nd October 2017. 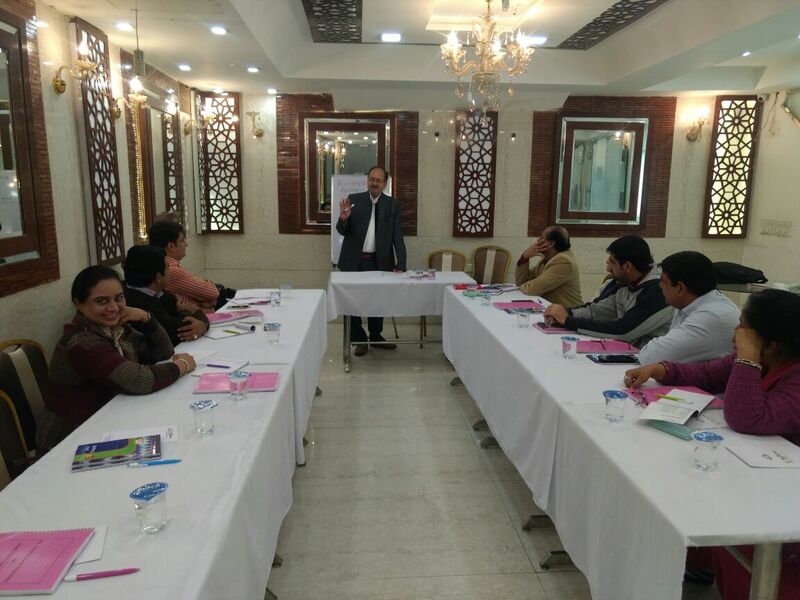 This Training is a collaborative venture of Institute of Peace, Happiness and Mind Power Development, Jaipur and Success Maximized, New Delhi. Why our brain cells similar to the universe ? According to our Rishis " The body represents the universe". The foundation statement of Jesus is, "The kingdom of God is within you". Recent studies carried out by scientists have shown amazing comparison between human brain and the universe. Now the scientific study is showing that the kingdom of God ie the features of Universe are within the brain.If we place the picture of dark matter which constitute 90% of the universe along side the circuitry of the human brain, we find that the circuit pathways are the same, conveying signals point to point. Scientists carried out computer simulation of the universe 2 billion year back after the big bang and the resultant image resembles cerebral cortex of human brain. All recent computer simulation of the early universe has one prediction in common - "The first large scale structures to form in the young universe are long filaments connected at their ends in nodes". The model typically looks like a 3 dimensional spiders Web and resemble the neural structure of the brain. The first Galaxy building blocks will form inside the threads of the Web. When they start emitting light, they will be seen to mark out the otherwise invisible threads much like beads on a string. These are the photon lights that we draw to us in our meditation. The Cosmic filaments starts emitting light in the similar fashion of the neural network of the brain. The electrical impulses generated in our brain are similar to that generated by the cosmic filaments. When the frequency of the light generated by our neural network matches with that of the cosmic light, it is said to be the stage of Synchronicity. Looking up the sky is like looking inside the brain of the Super conscious Power or God. Our brains are duplicate of the Cosmic Brain. Science is showing us that there is little doubt that the universe is a Cosmic Brain which aligns with the human brain. All the mind power techniques, Neuro Linguistic Programming, Reiki works because of the deeper connection between Cosmic Brain and human brain. The success rate of any healing depends on the deep understanding of this phenomenon. Astrologers work with the Cosmic Brain. An experienced Astrologer detects the effects of the cosmic light (generated during the different planetary configuration), on human brain. The Technique of Rescripting Astro Psychology by Cosmic Brain Programming and Reiki Healing is an Innovative Technique of the Institute of Peace, Happiness and Mind Power Development, Jaipur, in which the energy pattern of various Psychological aspects of human being is changed to a resourceful state by establishing synchronicity with the Cosmic energy . It's a unique Technique in which the human brain starts working in the most productive way by developing an enlightened mode due to Cosmic Synchronicity. Anyone who wants to change his pattern of energy from failure to success mode needs to establish synchronicity of the neurons of his brain with the Superconscious ( The Cosmic Brain). Attend our Training Program of Rescripting Astro Psychology by Cosmic Brain Programming and Reiki Healing and Transform your life. Our future Programs are at Pune , Maharashtra ( 8th to 11th June ) and Delhi NCR/ Gurgaon ( 5 th to 9 th July ), 2017. Emotional Intelligence : Emotional Intelligence is the ability to identify and manage your own emotions and the emotions of others. It is generally said to include three skills: 1) Emotional awareness, including the ability to identify your own emotions and those of others. It is generally said to include three skills - 1) Emotional awareness, including the ability to identify your own emotions and those of others 2) The ability to harness emotions and apply them to tasks like thinking and problem solving 3) The ability to manage emotions including the ability to regulate your own emotions, and the ability to cheer up and calm down another person. Role of Emotional Intelligence in Career Success - Understanding the role emotional intelligence plays in career satisfaction will benefit organizations and individuals interested in high potential employees. Goleman (1998) asserts that emotional intelligence, not IQ, predicts workplace success. Emotional Intelligence may even be more important than general mental ability for determining career success. According to Mayer etc al 2001, individuals need to be able to identify their emotions as well as emotions of others. According to IBM's 2012 survey, over 1700 CEO say their two top needs are COLLABORATION and CONNECTING with customers - these are both driven by emotional intelligence. Research shows that people with higher emotional intelligence earn higher evaluations from their supervisors - and are overall more successful. Career builder Survey :71%of employers say they value emotional intelligence over IQ. Recent research shows that EQ spurs creativity by fostering vigour and generosity and helps employees successfully navigate organisational politics. "EQ has twice the power of IQ to predict performance. EQ is also better predictor than employee skill, knowledge, or expertise". - Gerald Mount "Leadership's first commandant : know Thyself". Evaluating high performers, 7 out of 10 factors that distinguish Star Managers were tied to emotional intelligence and only 3 to technical skills and conventional intelligence. In a study of Para rescue jumpers US Air Force saved 190 million dollar by selecting candidates based on emotional intelligence. There is another very important Intelligence which is known as Spiritual Intelligence. Spiritual Intelligence is the central and most fundamental of all the intelligences, because it becomes the source of guidance for others. Ken O'Donnell advocates the integration of Spiritual Intelligence (SQ) with Rational Intelligence (IQ) and Emotional Intelligence (EQ). How to handle Psychology of Depression and suicide of students ? Depression and suicide are two of the most frightening things a person can face in life time.Suicide is the second leading cause of death between the age 15 to 24 through out the world. This is the period when the students face maximum pressure of expectation from their parents regarding excellence in exams . "Our children can achieve great things when we set high expectations from them ". Jeb Bush Parental expectations if handled properly can inspire the children to achieve great things in life. But the expectations needs to have a healthy mix of compassion and understanding. Parents needs to realize the inner potentials of the children before setting their expectations on them. However , if the parents of an elephant if sets goal for him to fly and always remind him about his failures ( because to fly is not the potential of the elephant), than the parents are totally wrong about their approach. A student may have inner potentials to become a great poet, artist, actor, writer, Charted Accountant, Fashion Designer etc but he or she may not like science because of the lack of inner potentials. Thrusting Science on them, pressurising them to prepare and appear for IIT Exams, many of the times creates such frustration that the student can take extreme step of committing suicide. Parents can use Astrological analysis to understand the natural potential and to know the inner strength of the pressure bearing capacity of the mind. A child with debilitated Moon and having aspect or association of Saturn, Rahu and Ketu is likely to loose his or her mental balance during Mahadasha -Antardasha-Pratyantar Dasha of these planets. This can lead to taking extreme step of committing suicide. When parents are spending lakhs of Rupees for the preparation of their children for high end competitive examinations, they need to spend a fraction of it on getting themselves trained in Neuro Linguistic Programming, Reiki, Cosmic Brain Programming, Quantum Remote Healing and Rescripting Astro Psychology Technique To Help their child /adolescent in creating energy boosters in his or her inner energy systems. Institute of Peace, Happiness and Mind Power Development, Jaipur conducts all these Trainings which can make parents competent enough to help their children in making their journey of competitive examinations a smooth one. It is only a fraction of benefit of these Trainings. Rescripting Astro Psychology Training is going to be held at Delhi from 28th September to 2nd October 2017 .Be a participant and help your children in their journey of success. Quantum Astro Psychology : Astro Psychology is the psychological analysis of a person based on the astrological charts. Astrological charts are the energy maps of a person which reveals the planetary energy of the Quantum Universe entrapped in the cells and DNA of a person. This planetary energy which is both in wave and particle form is the essence of life. In wave form it gives direction to our thought process and in particle form, it gives shape to our physical attributes . The language of the universe is various frequencies of energy which if we learn to understand can help us to realize our subconscious sabotage patterns as well as hidden potentials . The knowledge of analysing the Astrological charts in the back ground of the knowledge of Quantum Mechanics can help us to assess the depth of the sea of life in various time periods of our existence and can help us to face the life with better preparedness. It can help us in solving any crisis of our life because we will be able to filter the energy patterns responsible for it. Astrology is a Super Science and Quantum Astro Psychology is a revelation, why it is a Super Science. Institute of Peace, Happiness and Mind Power Development, Jaipur in collaboration with Success Maximized, New Delhi has taken the lead in this country to teach this Super Science in a very simplified and lucid way. We have started a 45 days whatsapp Training Program of Quantum Astro Psychology where Training is given on the fundamentals of Quantum Astro Psychology .The Training is in the form of text, audio, video and question answer sessions . The first batch of the Training is under progress. The second batch of the whatsapp Training on Quantum Astro Psychology will be started from 28 th of August, 2017. If you want to enrol yourself in the elite Group of interpreting human psychology for improving the quality of life of self and others, then this Training is a must. Be a participant and lead a highly enlightened state of understanding the hidden language of the universe. Padam Nabham Sharma, Jyotish Visarad from Indian Council of Astrological Sciences, Reiki Grand Master, Neuro Linguistic Programming Coach , Innovator of Cosmic Consciousness Module, Quantum Remote Healing and Recripting Astro Psychology and Chief Mentor and Motivator of the Institute of Peace, Happiness and Mind Power Development, Jaipur is the Chief Facilitator and Arun Kumar Singh, Neuro Linguistic Programming Coach , Mind Power Trainer and CEO of Success Maximized, New Delhi is the Co facilitator.